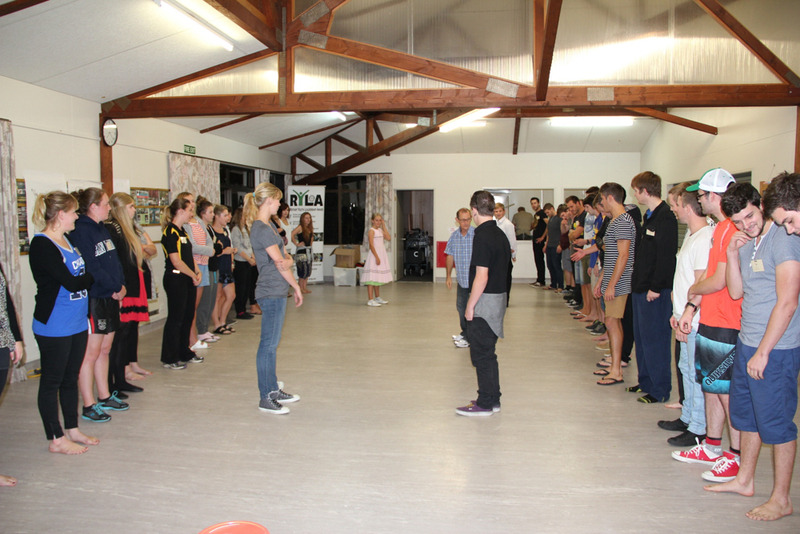 A quick catch up: last week I went on a Rotary Youth Leadership Awards camp (RYLA) in Epworth, near Maungatautari in the Waikato. 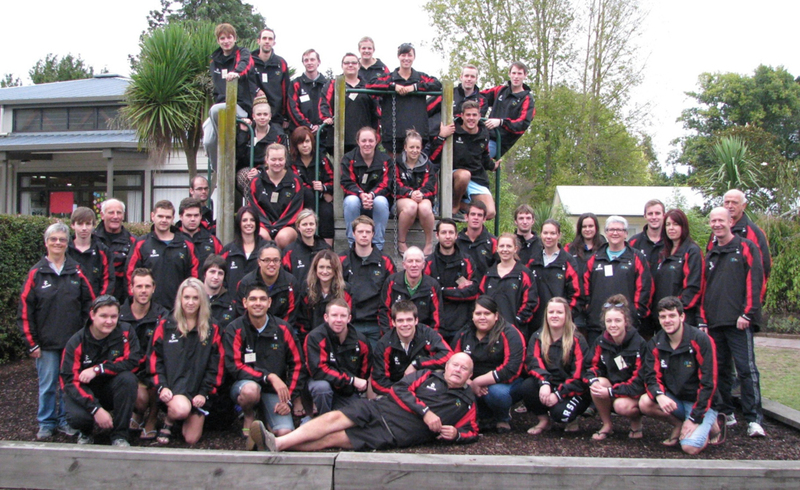 There were 42 of us that came together for this camp from all over the Greater Waikato District including: Napier, Hastings, Taupo, Hamilton, Cambridge, Rotorua and many other places. We began our first day by doing a few exercises about ourselves and our journey as a leader so far, then some team building exercises, and finally a RUBIK exercise to decide on our main group for the rest of the week. 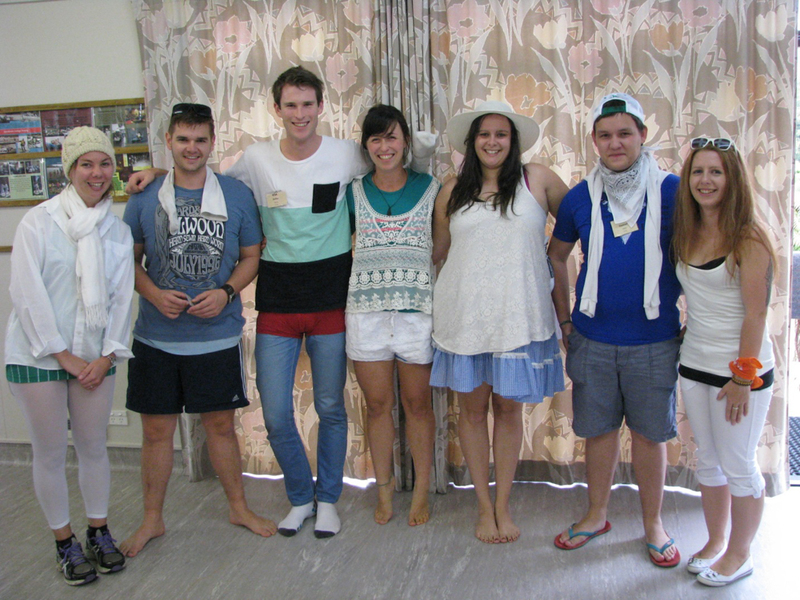 We were instructed before the camp to bring seven different items of clothing in colours of the Rubik cube; which we then swapped with other camp members until we had clothes of just one colour. I ended up in the White team which was nicely balanced with three males and four females. One of the team bonding exercises we did was Rock n Roll, which I was so excited about! We were privileged enough to have two junior national champions and a world champion teaching us the basic, turn out, turn in, a drop and spin. 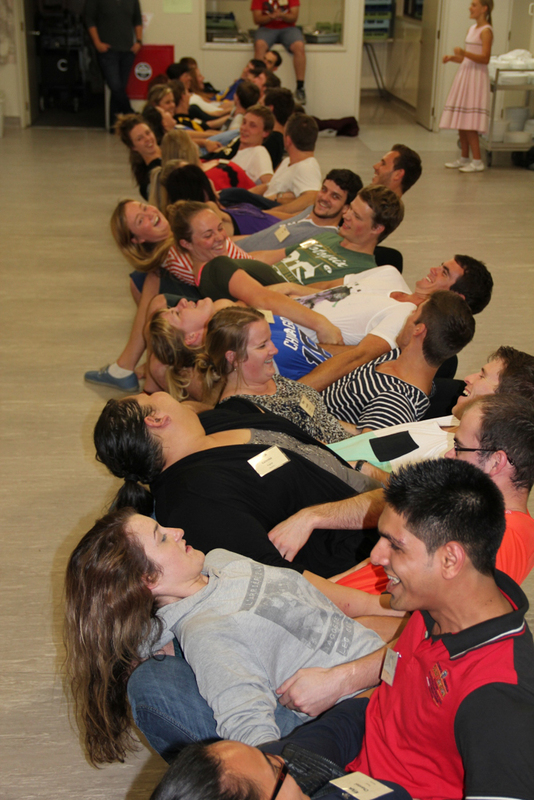 As a party trick we also learnt how to do a bridge with the whole group! 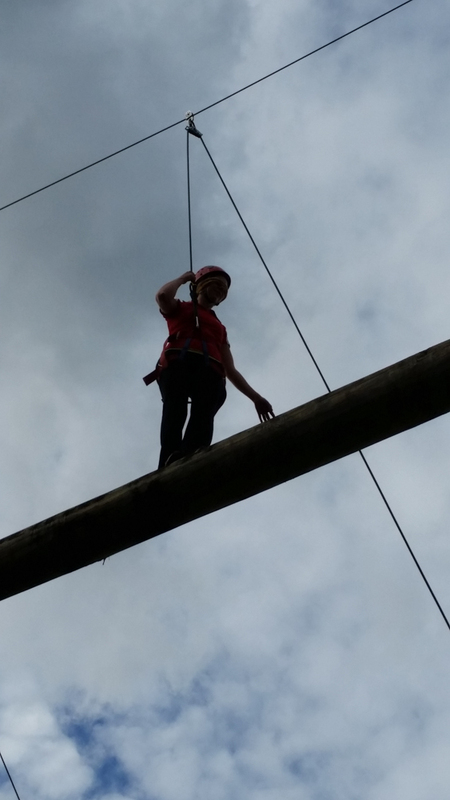 The next day we spent the morning inside learning theories about leadership including: above the line (Ownership, Accountability and Responsibility) / below the line (Blame, Excuses, Denial) and also “thinking – creates feeling – creates behaviour” based on your core beliefs. 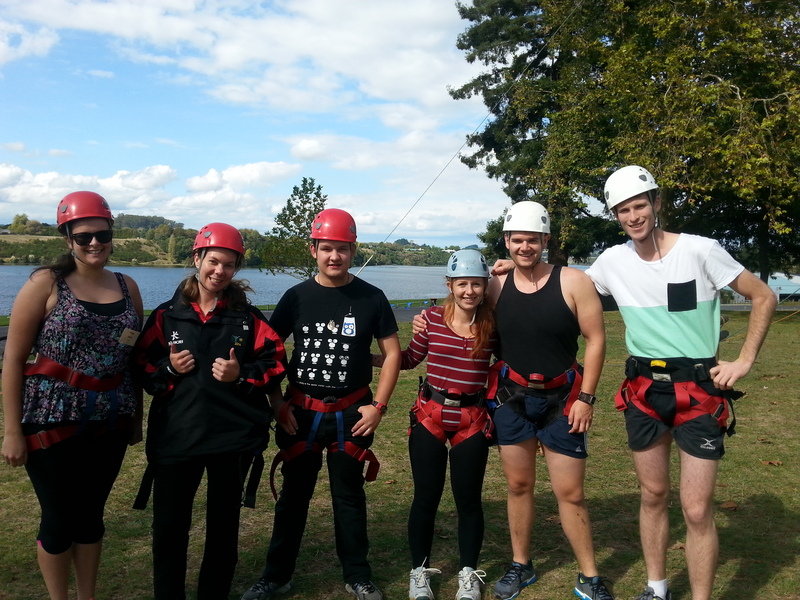 The afternoon was spent at the high ropes course at Lake Karapiro. 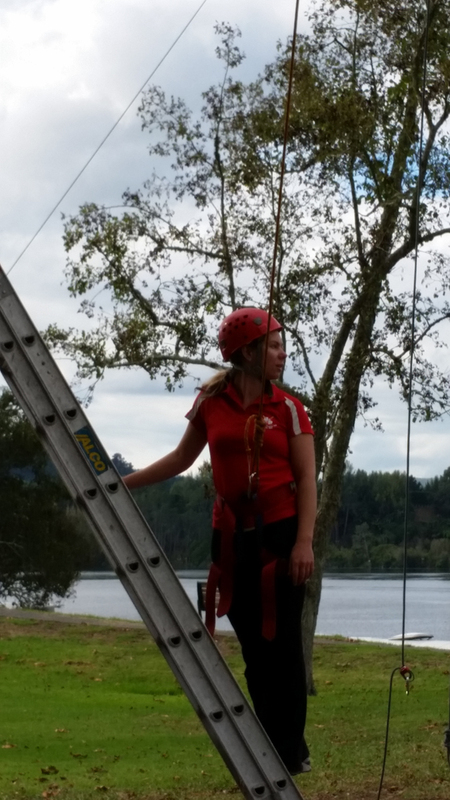 We remained in our colour teams for this activity and scaled many a high rope; I even did one blindfolded! 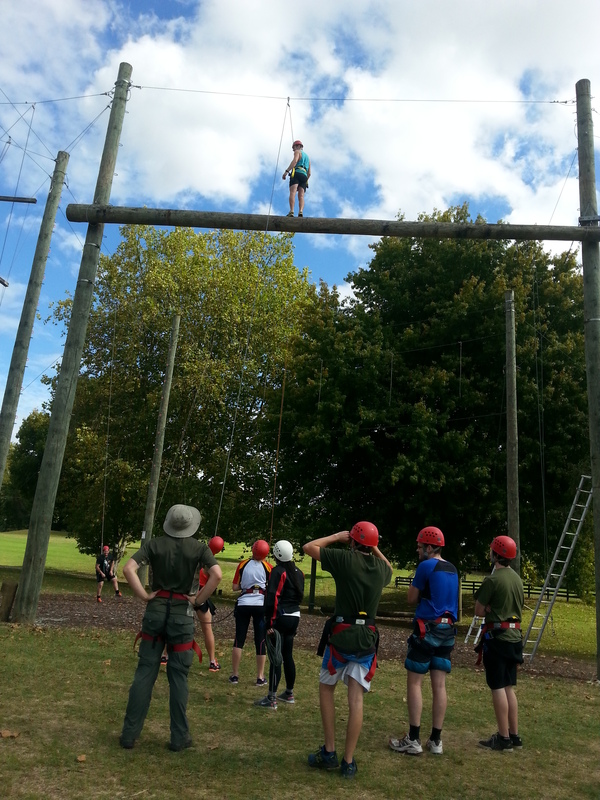 These high ropes were a good test of our team work and support. 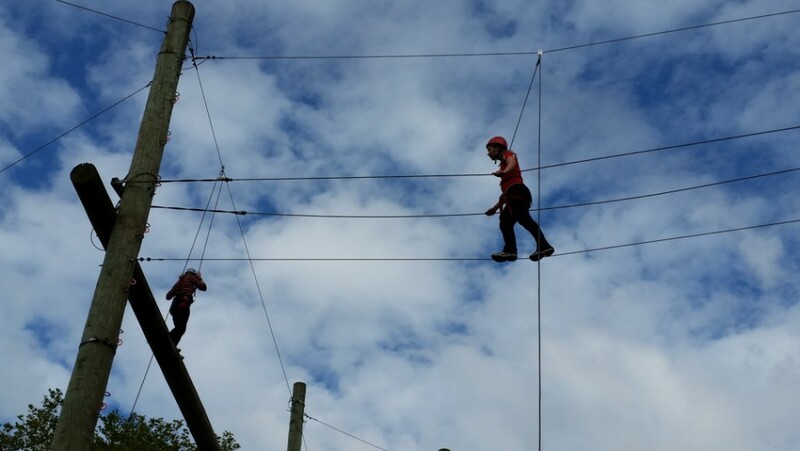 We had to belay our own team mates, encourage them on the harder ropes and one rope even required us to run with the rope in one direction while the other person was running in the opposite direction resulting in them flying up in the air! 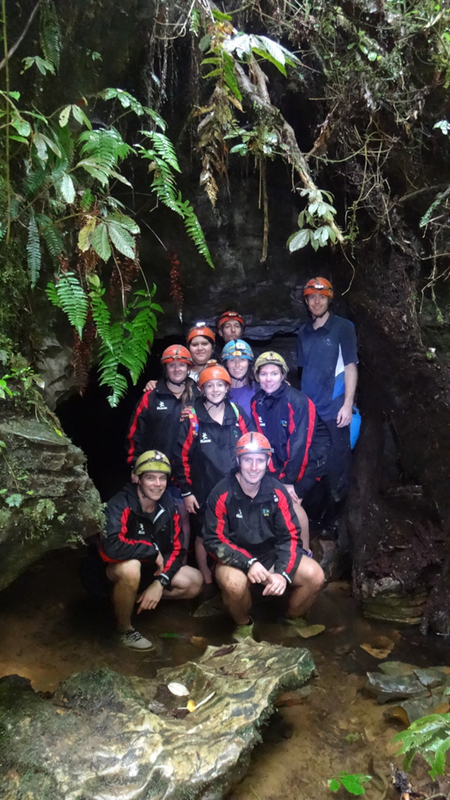 The next day we went to Stubb’s farm in Waitomo. There we were separated into different teams; mine was “pigs”. 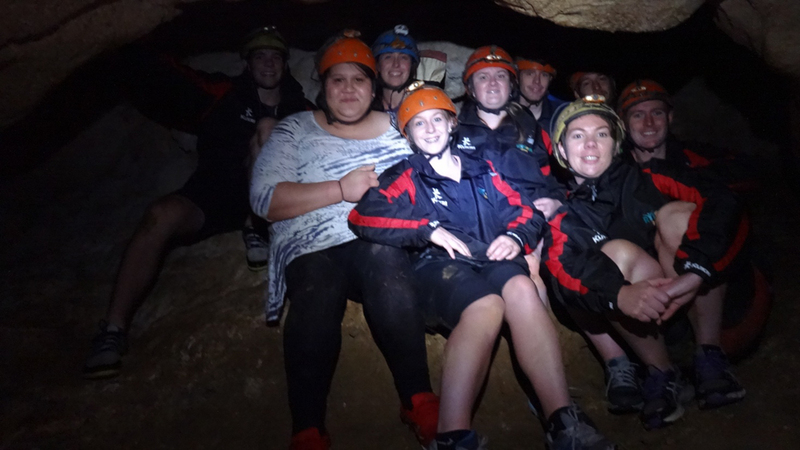 We made up a chant which was simple yet effective… Leader: “Piggy piggy piggy” followers: “Oink oink oink”, “piggy”, “oink”, “piggy”, “oink”, “piggy piggy piggy”, “oink oink oink!” We completed four activities in this team: rock climbing, abseiling, caving and team work adventures. I have always loved rock climbing, so this was especially exciting for me as it was a combination of outdoor rock climbing on real rocks with the indoor handles attached. 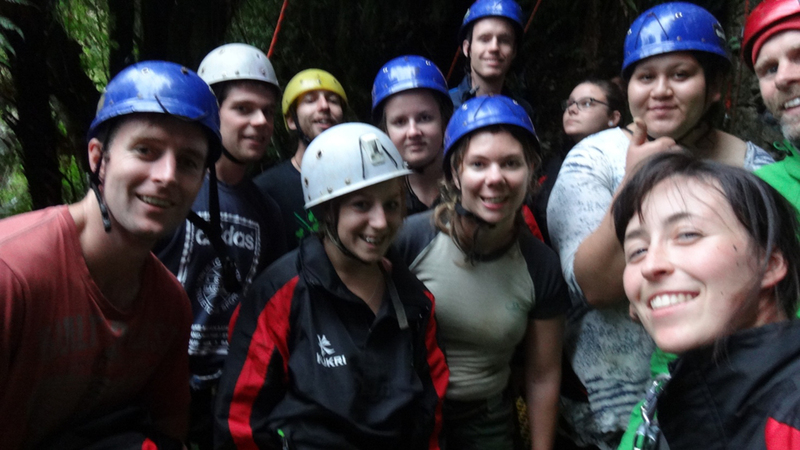 It was also the first time I had gone caving; we went through different heights of caves – at some points we were crawling between cracks and through water, other times we were climbing up and over big mounds. I found the limestone inside was very interesting to look at, it is millions of years old, and of course there were plenty of glow worms to keep me intrigued – it is actually their poo that lights up! 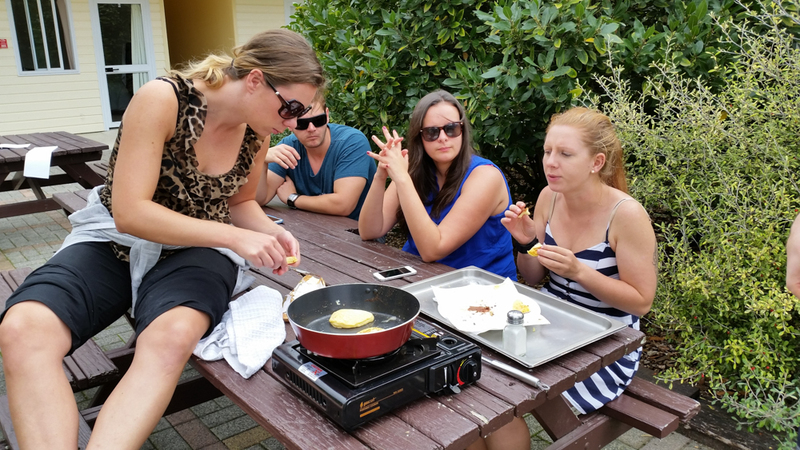 There were many other activities we did including managing meetings and public speaking workshops, along with Masterchef and pikelet creations that kept us busy and taught us a lot. 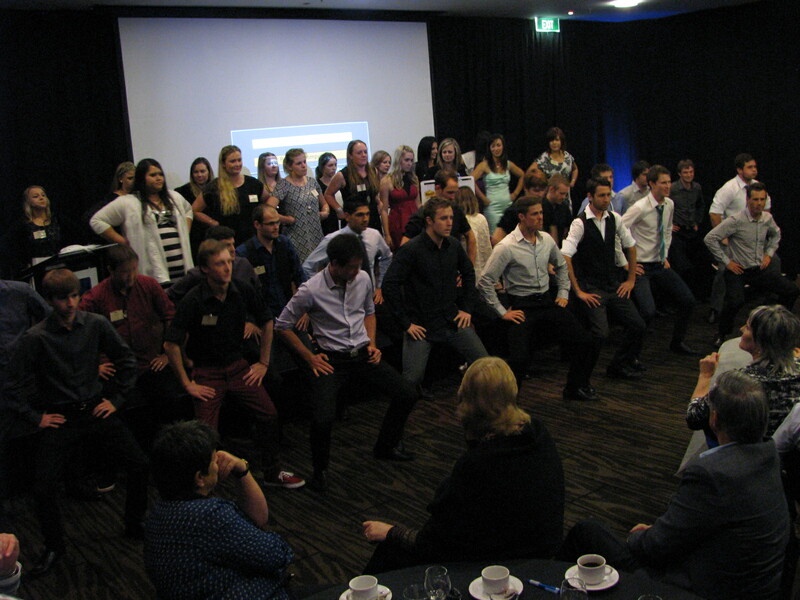 We even planned and practiced a Haka to thank the Rotarians and organised the final dinner where many family and friends attended to see the outcomes of the camp. The RYLA camp experience was amazing and one I won’t ever forget. I am sure I will be calling on a few of the people I met there in the future, it was a great networking opportunity, not to mention all the new skills and theories I learnt. I am having post camp withdrawals, as I do after every holiday, trip and camp. 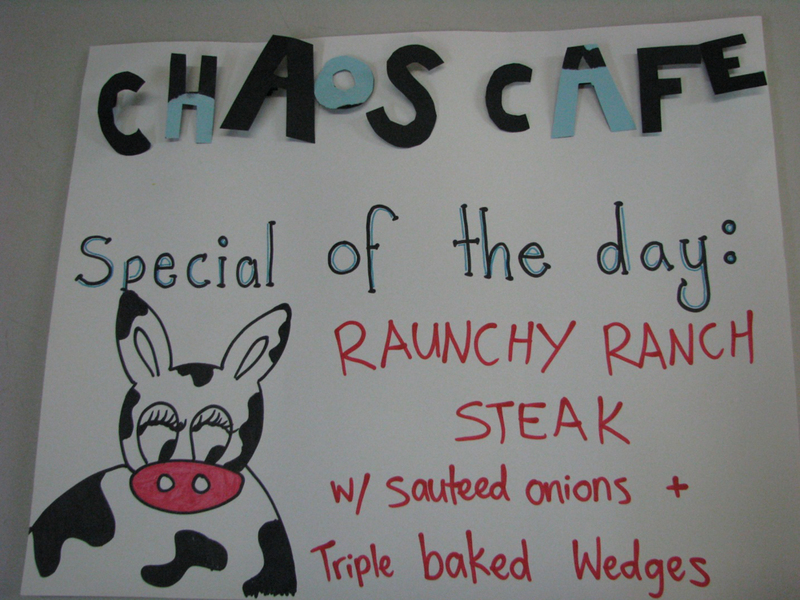 I miss the people, the food, the activities and the atmosphere. 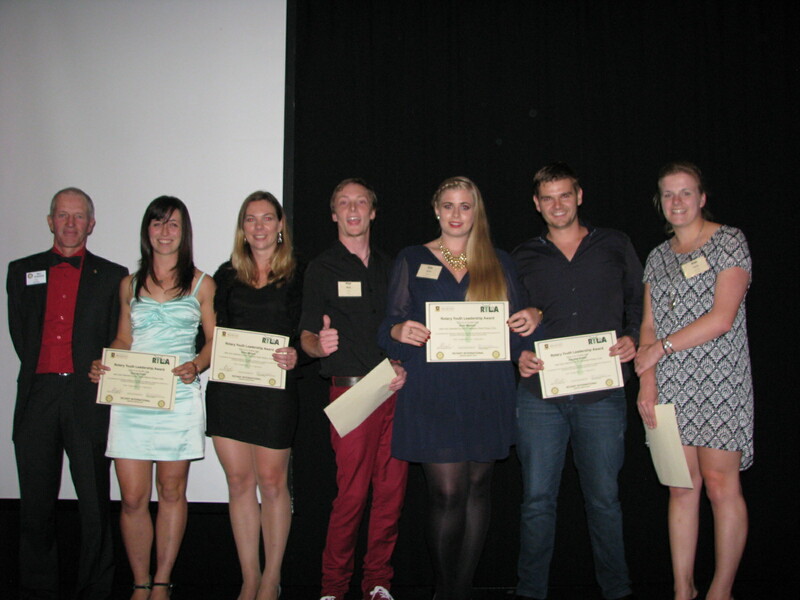 Many thanks to the Rotary clubs that sponsored us all, and District 9930 for organising the whole event. Bring on a reunion soon!